In the story of the rebels' first victory over the Empire, which scene ranks highest? Two StarWars.com writers debate! One of the great things about Star Wars is that it inspires endless debates and opinions on a wide array of topics. Best bounty hunter? Most powerful Jedi? Does Salacious Crumb have the best haircut in the saga? In that spirit, StarWars.com presents From a Certain Point of View: a series of point-counterpoints on some of the biggest — and most fun — Star Wars issues. 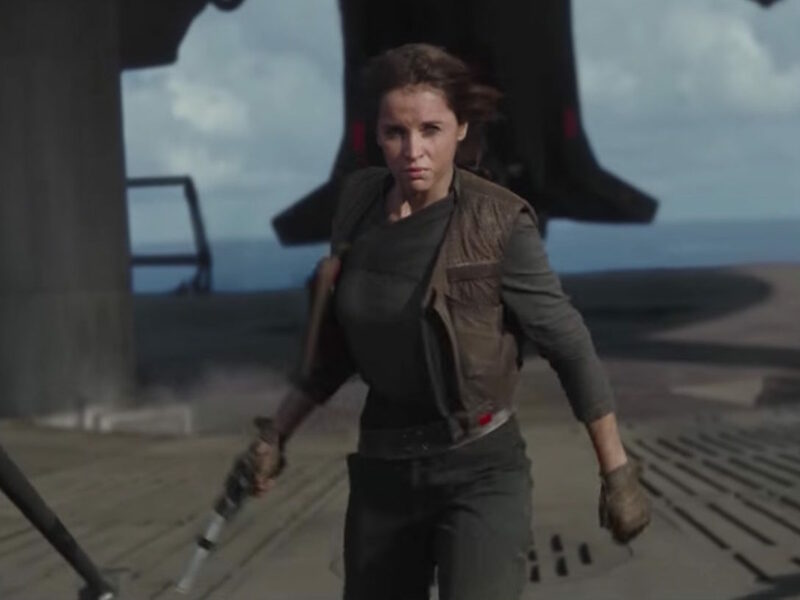 In this installment, two StarWars.com writers discuss which scene from Rogue One stands above the rest. Spoiler warning! The shuttle conversation is the best scene, says Bryan. It’s hard to pick a favorite scene from Rogue One because there are so many good scenes. But if I’m forced to pick one, I think there’s really only one option. Rogue One is a war film, which is why I’m surprised by the idea that I think the best scene in the film is one of its most intimate; a scene without a blaster rifle or bomb in sight. Remember that first moment on the stolen Imperial cargo shuttle as our band of rebels are pulling away from Eadu? The one where Cassian is struggling with the weight of what he just went through, and Jyn is reeling from both the loss of her father and the trust she had for Cassian? That’s the one. That’s the best scene. Every time I’ve watched the movie, this is the one that brings the most unexpected tears. We have two people here so broken down by the Empire for their entire lives who seem like they’re coming from such vastly different places, but they bicker viciously, pulling no punches. The scene peels back layer after layer to their characters. Diego Luna and Felicity Jones offer some of their best work in the film during this emotional sparring match. Jyn, stung from loss and lies, and Cassian, grappling with a war he’s been fighting for too long, circle each other trying to take the moral high ground any way they can, but it’s just not there. In that one utterance, it tells us everything we need to know about Cassian and elicits tears where none have any reason to be. 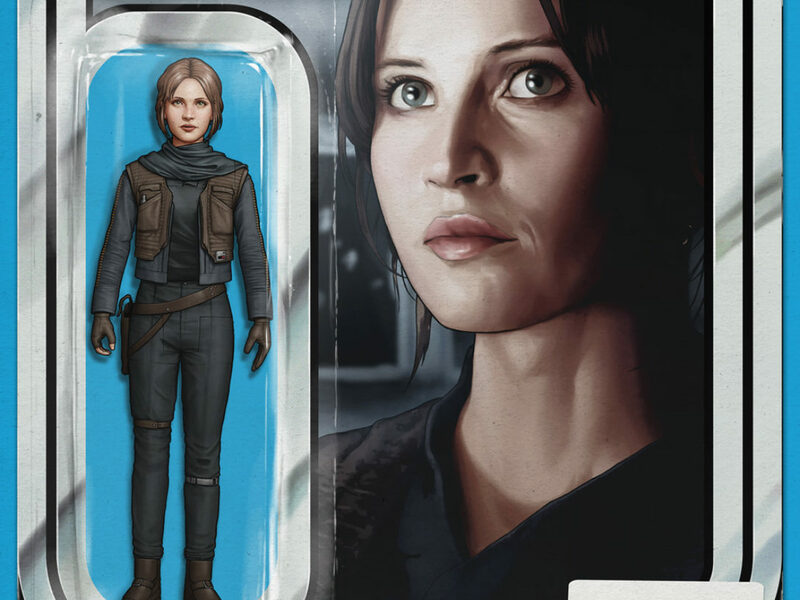 But then Jyn fires back with that tearful, “You can’t talk your way out of this,” and we’re broken all over again. It’s a stunning scene and its quiet intimacy and bare honesty qualify it to be the best in the film. The attack on the Imperial shield gate is the best scene, says Catrina Dennis. 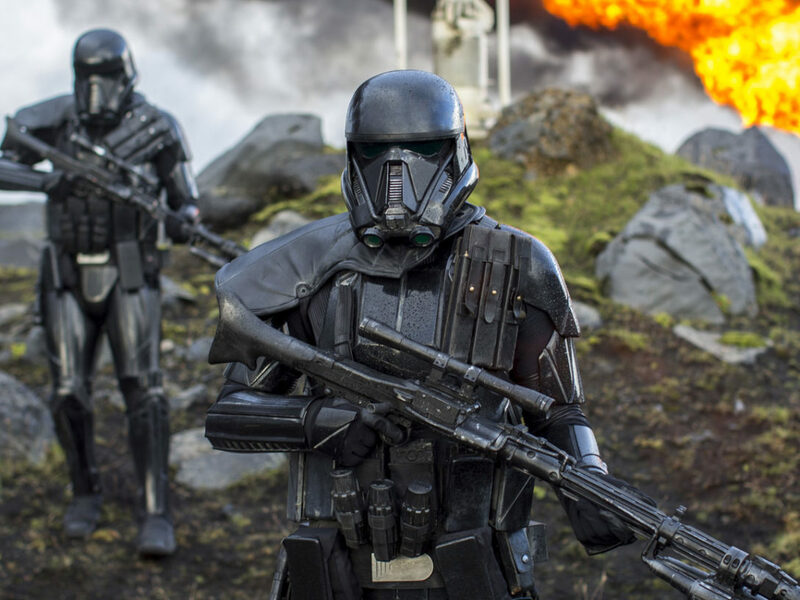 The Rebellion’s first major victory against the Empire may have been the destruction of the first Death Star, but the journey there is now marked with incredible moments from Rogue One. 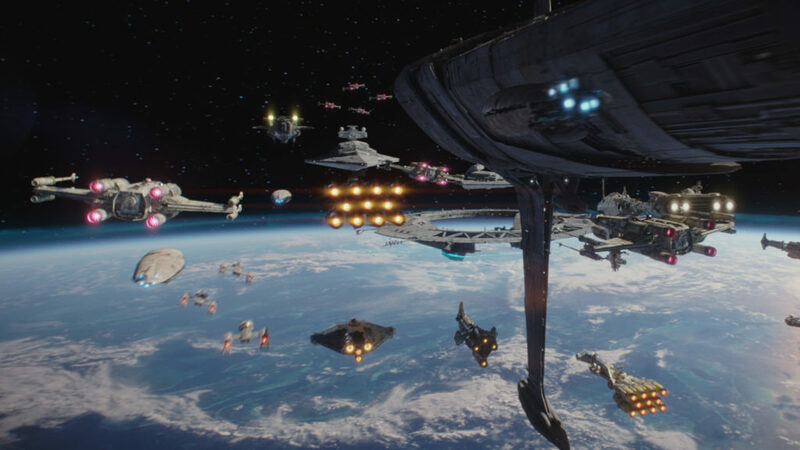 While the film is filled with intense scenes and Vader moments that some of us (read: me, I admit) have long waited for, the massive dogfight above Scarif took the cake for me. 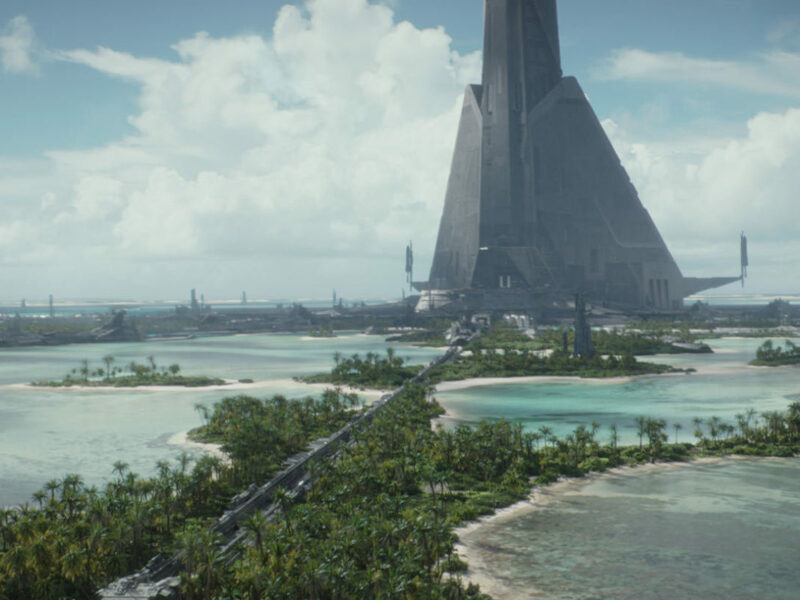 I’ll admit, this argument is a little shaky, if only because this particular “scene” is actually more of a sequence, but I’d like to focus on the efforts above Scarif’s atmosphere and the effort to destroy the Imperial shield gate over the planet. This is the dogfight that I’ve been waiting for, and the sappiest reason — we’ll get that out for the way, first — is because of the Rebellion’s incredible collaborative efforts, and how quickly support outpoured once the Rogue One team went into action. The moment Bodhi Rook made contact with Raddus, the fleet went into action. It’s almost incredible to look at the state of the Alliance at the beginning of Star Wars Rebels and see it again during Rogue One. They may have been overwhelmed, but once again, it was hope (and the belief in it that drove those who chose to rebel) that won the day. There’s also the eye candy: Seeing the Ghost from Star Wars Rebels rendered in “real life” on the big screen was already enough to make this fan happy, but watching it fly into battle over Scarif took the cake. The proton bombs of the Gold Squadron’s Y-wings created an incredible spectacle over the gate. Seeing the familiar interior design of a Mon Calamari MC75 cruiser (the Profundity, Raddus’ ship) made my mind fast-forward to Admiral Ackbar’s leadership during the Battle of Endor that would happen just a few years later. In the end, it was the little Hammerhead Corvette that could, the Lightmaker, which successfully forced one Imperial Star Destroyer into another before both went crashing through the shield gate. Despite enduring its first major loss against the Alliance as the shield gate went down and the plans were transmitted, the Empire does not simply stand there and take the Alliance’s efforts. That’s what makes the battle so grave: This is the Empire at its peak, with a shiny new toy to boot. Their overconfidence may have cost them the plans, but they didn’t play lightly when deploying their own ships. The Empire’s might above Scarif was best displayed by the three Star Destroyers that loomed over the planet during the battle, as well as Darth Vader’s Devastator, which arrived to finish the job alongside the Death Star itself. The opening lines of A New Hope detail the effort of rebel spaceships, striking from a hidden base — and now, decades later, that battle has come to life in a way that adds more gravity to those first few sentences than ever before. What’s your pick for best scene? Let us know in the comments below!